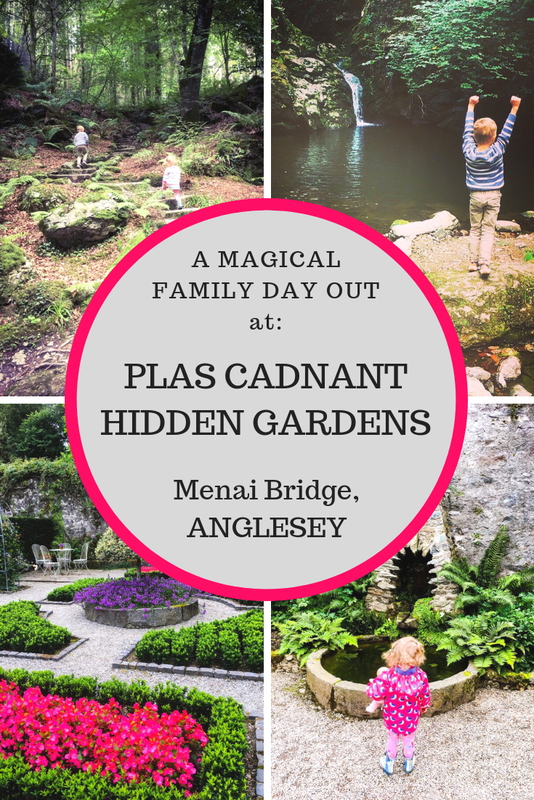 The Hidden Gardens at Plas Cadnant in Menai Bridge on Anglesey (just across the water from the mainland) wouldn’t necessarily be the first place you would think of for a day out with children. However, it really is a wonderful place to go as a family – the kids (so long as they are well-behaved!) can explore in the fresh air, the gardens are truly beautiful and there are hidden surprises around every corner! When the current owner of the Estate bought it in 1993, the historic gardens were completely overgrown and neglected. He and his team have worked incredibly hard to restore them and there is still more to be done. Three different gardens have been uncovered and lovingly restored: a walled garden with curving walls and a pool; an upper woodland garden with stone outcrops and the remains of a 19th Century folly and, my favourite, a secret and magical valley garden with three waterfalls and a river. Anyone for Hide & Seek? As you enter the gates of the gardens you are met by an impressive sweeping lawn with a path down the middle that is lined with pyramid/cone-shaped yews. My children loved playing hide and seek amongst these and we even found an Anglesey Rock to take with us and re-hide! At the end of the path is a rectangular pool and a beautiful curved wall, in front of which you can imagine a scene from a BBC period drama taking place! If you sit here long enough Mr. Darcy may appear! Next to the lawn is the rest of the upper walled garden filled with beautiful plants, a herb garden and a kitchen garden. From here, the children were excited to walk through the grotto and tunnel of yew which leads to the truly magical part Plas Cadnant, the woodland garden and the valley garden. Children of the 90s may remember the movie Fern Gully and at times I felt we were there! A series of paths through ferns, huge beautiful trees, stones and rocks leads down to a river with beautiful waterfalls. I only wish I had my proper camera at this point, as my iPhone photos just don’t do it justice! We spent ages down here by the river and waterfalls, making leaf boats, exploring, counting (and re-counting!) 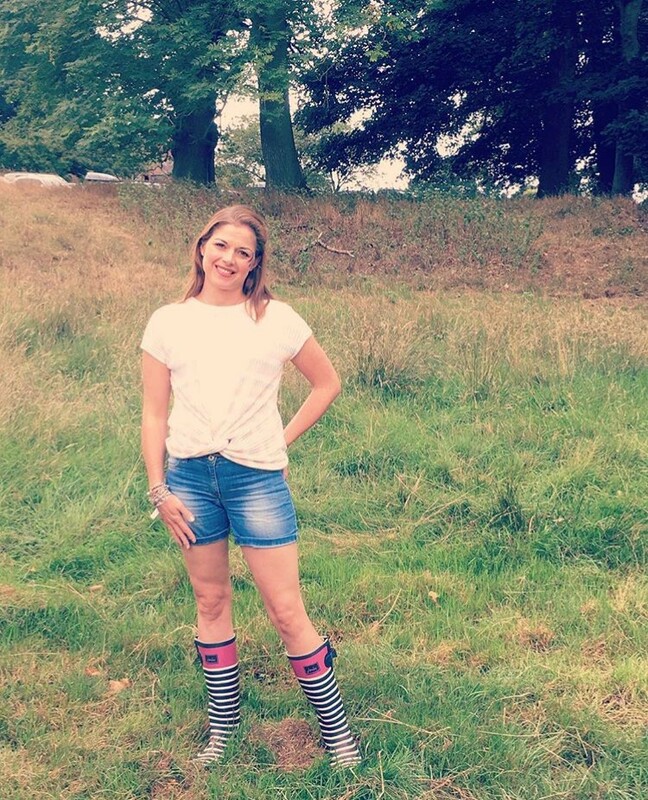 the 39 steps and searching for fairies – truly magical! Walking back up towards the lawn you pass through more beautiful plants and flowers and end up at the rectangular pool I mentioned before. There are various places to sit and take in your surroundings and the children really did feel like they were intrepid explorers throughout the whole experience! Once our exploring was finished we had a lovely lunch in the very modern and fresh cafe, which rounded off our visit nicely! I thoroughly recommend visiting Plas Cadnant if you are ever on Anglesey – perhaps tie it in with a trip to beautiful Beaumaris, which is only a 5 minute drive from the gardens. Or, if you really want to treat yourself, you can even stay at Plas Cadnant in one of five self-catering cottages in the Grade II Listed outbuildings, which look absolutely gorgeous! All photographs on this site remain the property of typicalmummy.co.uk, unless otherwise stated – please do not re-use without permission. I love to read your comments on my posts. Please feel free to leave a comment below! This truly looks magical! My gang would love to explore the secret garden with its waterfalls. What a treat! I love finding hidden little gems like this! It’s not somewhere I’ve been before but it definitely looks like somewhere I’d like to go. I remember my Dad taking me to see Fern Gully at the cinema when I was little – that’s brought back lots of memories! Aww! Glad to bring back memories! It really is a fab place to visit!! Oh it does look magical! I must have driven past this place so many times on the way to visit Beaumaris and didn’t know it was there.